Yesterday, President Trump asked why there had been no discussion about the causes of the Civil War. Well, Mr. President, turns out that there has been quite a bit of discussion over the last few years. 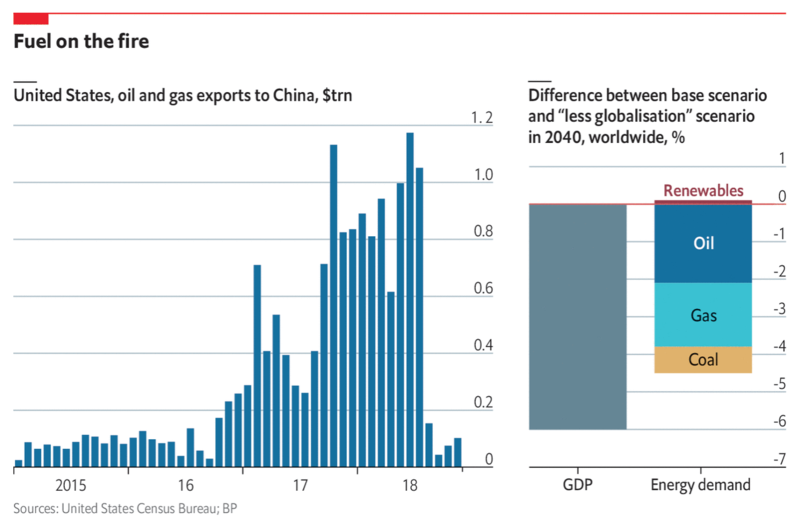 And the broad consensus? 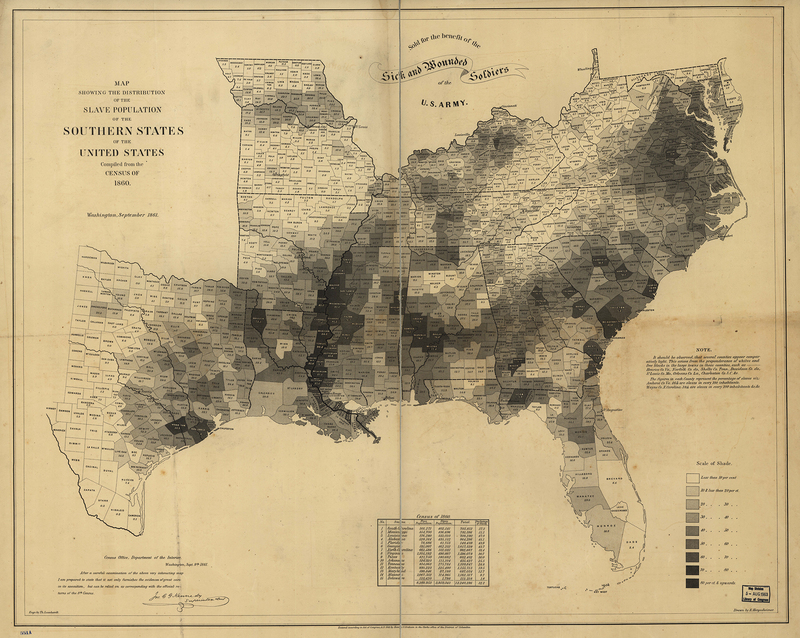 Note the above, with the darker shaded counties representing those with greater percentages of the population held in slavery. What do most of those states have in common with the Confederacy? That they are in the Confederacy. To be clear, the Union was not perfect. Delaware, Maryland, Kentucky, and Missouri remained part of the Union, but were states where slavery was legal. In fact both Kentucky and Missouri had two governments. Kentucky provides a great example of the fault line with the pro-Union capital of Frankfort situated in the low-slavery east whereas the Confederate capital was located in western, high-slavery Kentucky. But the point stands. Slavery was the link between Confederate states and Confederate-aligned parallel governments in Union states. So, Mr. President, when you are asked about the cause of the Civil War, now you know the answer. Credit for the piece goes to E. Hergeshimer of the US Census Bureau. Author Brendan BarryPosted on 2 May 17 2 May 17 Categories InfographicTags choropleth, Civil War, Donald Trump, history, infographic, information design, maps, slavery, United StatesLeave a comment on Why the Civil War? So here’s how this week was supposed to go. 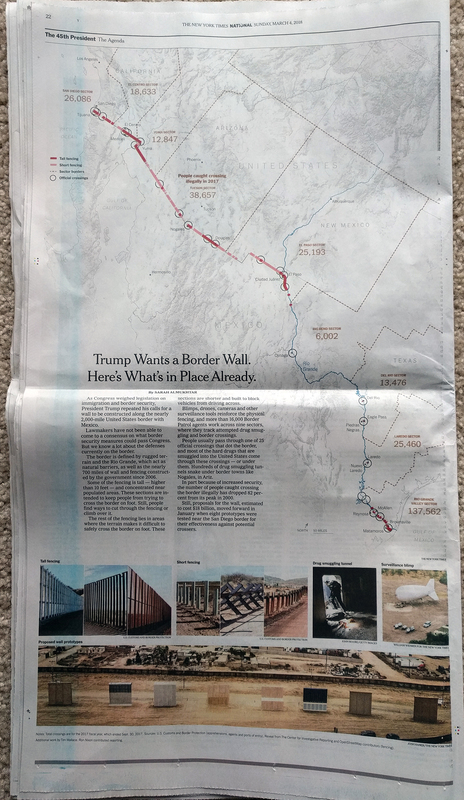 I was going to write about the Northern Irish election Monday and then Tuesday was going to be a piece from the New York Times that looked at the public’s concerns facing an incoming president. This piece I was going to save for later. 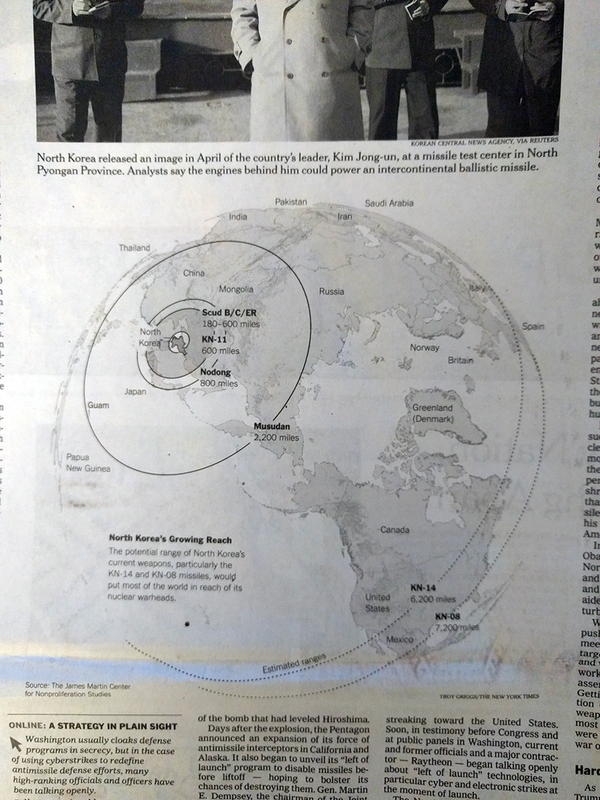 But then Sunday night North Korea tested several missiles and flew them into the Sea of Japan. Sort of felt appropriate to move this one up a couple of days. 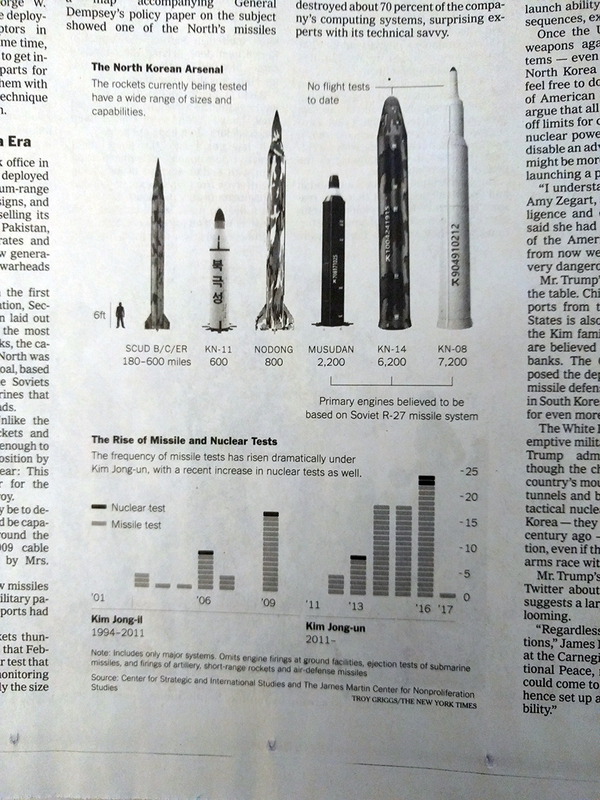 As you know, I like infographics and diagrams about military things. 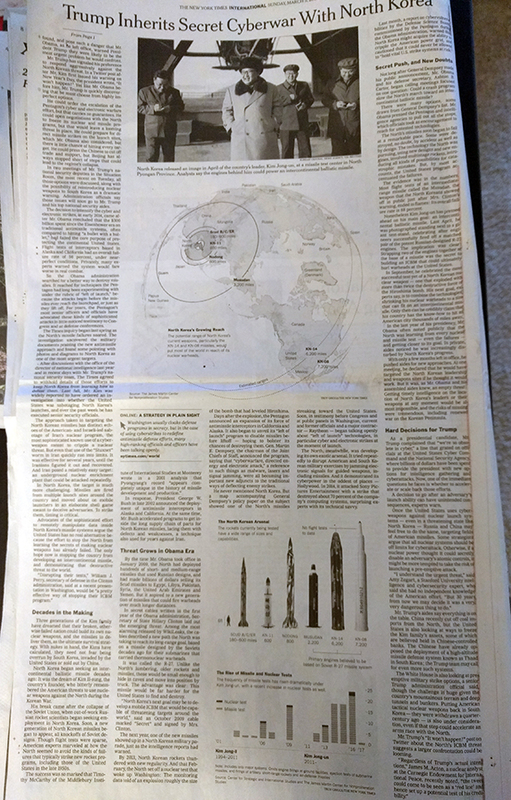 And in an article about the US cyberwar against North Korea, the New York Times included these graphics to provide context about the scale and scope of the North Korean missile programme. I don’t have the URL for the page on-hand, but if you can find it. The article is well worth the read. Credit for the piece goes to Troy Griggs. This is an old map that saw the light of day a while back. Featured on Vox, the map supports the notion that some white people are whiter than other white people. The map explores immigrant populations. 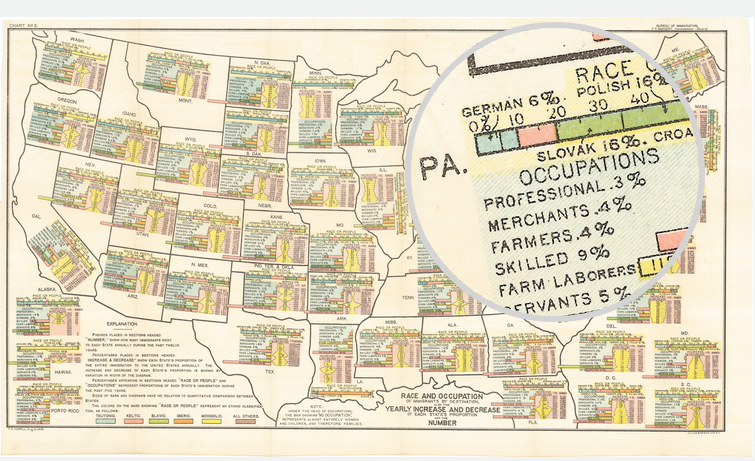 Using a map for spatial arrangement of integrated components, the data looks at immigrants’ ethnic origins, their workforce breakdown, and their recent growth. 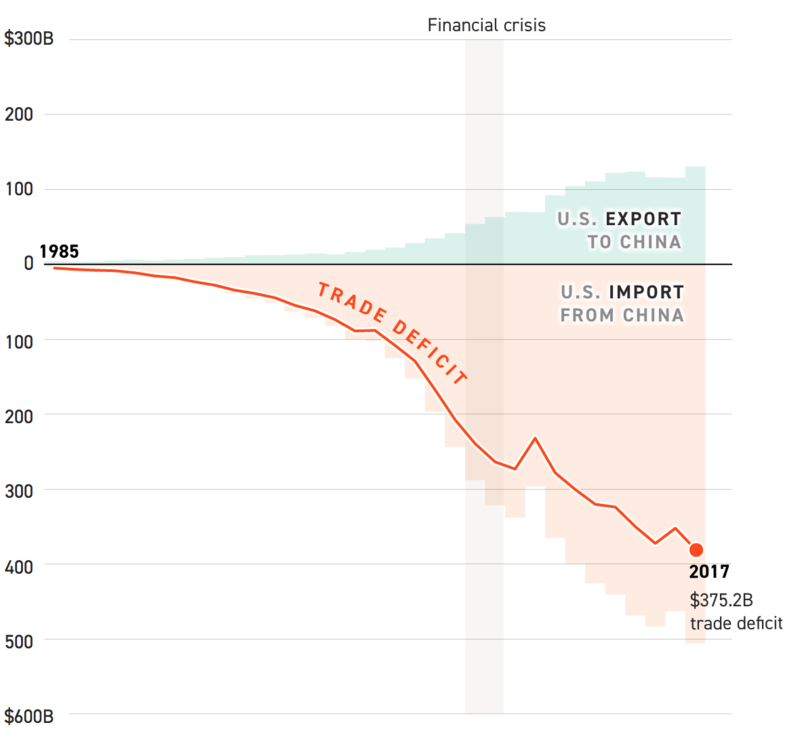 The United States has a long history of deploying troops overseas. How long? And where to? 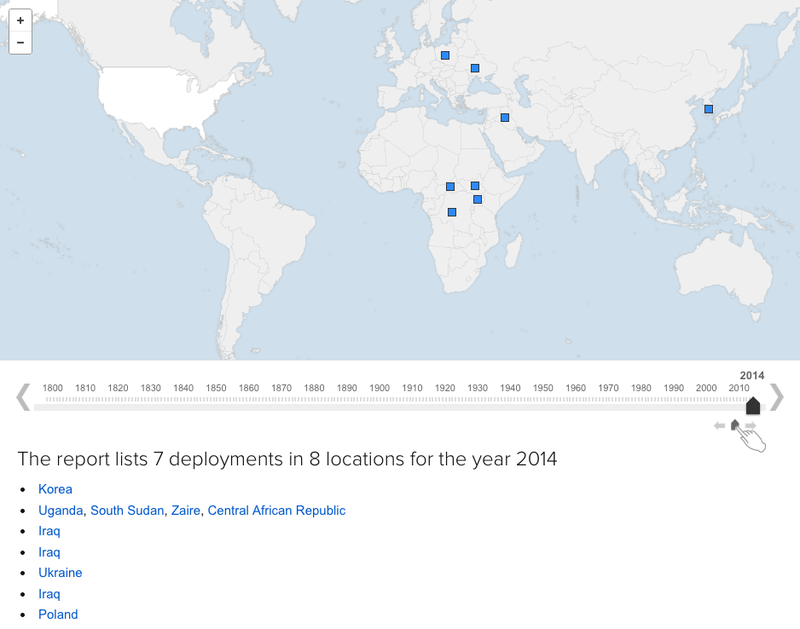 Well, ABC (as in the Australian Broadcasting Corporation) mapped out every US deployment dating back to 1798. I captured the year 2014, but if you are curious, you should check it out for yourself. 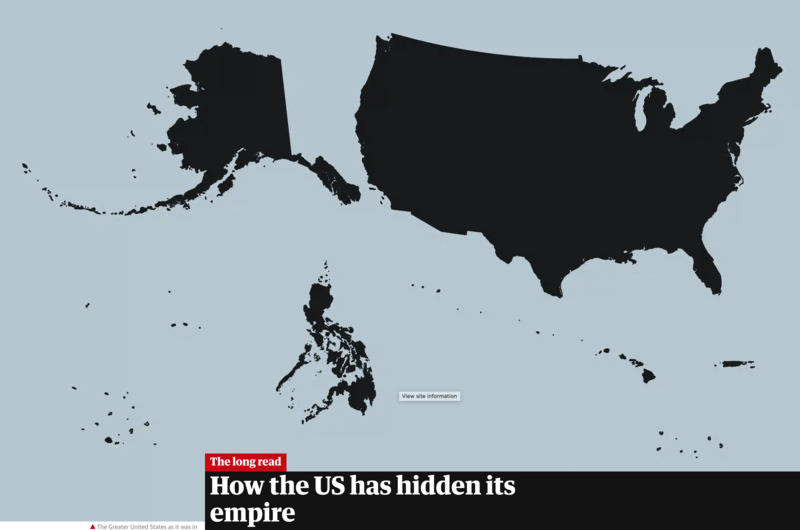 A neat little bonus, watch the growth of the borders of the United States from 1798.
Credit for the piece goes to Simon Elvery. A few weeks ago, one of my coworkers, sent me a link to a Newcastle Ale campaign video asking what would America be like if Britain had won the Revolutionary War. Anybody who knows me really well knows I am an Anglophile. I say mobile instead of cell phone, from time to time I switch from apartment to flat or truck to lorry or elevator to lift. So naturally I checked out the campaign site and what did I find? A map of place names if the Americans had not won the war. You can search for your residence or hometown and see what the Brits would have named it. Though this ignores the fact that most of where I am from was actually named by the Brits. 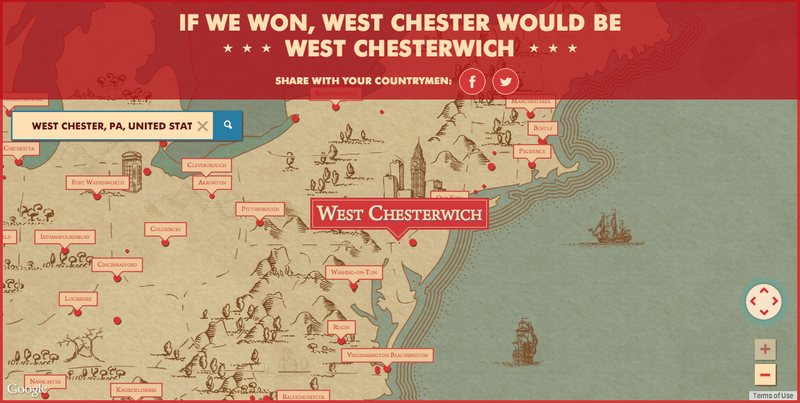 West Chester was originally called Turk’s Head, but after the a bunch of boundary changes that separated the British named Chester from my area, Turk’s Head was renamed West Chester because it is west of Chester, located on the Delaware River. Anyway, place names are cool. Happy Friday, everybody. Credit for the piece goes to the design team behind the ad campaign. Author Brendan BarryPosted on 25 July 14 11 November 16 Categories InfographicTags history, just for fun, maps, United Kingdom, United StatesLeave a comment on What if Britain Had Won? Last week I was asked what was the population of Canada. I first said 30 million. I then figured that was too small so I said more like 50–60 million. Turns out I was closer to being correct the first time. A Google search that cites the World Bank among its sources listed the population as nearer to 35 million. But what does that mean? 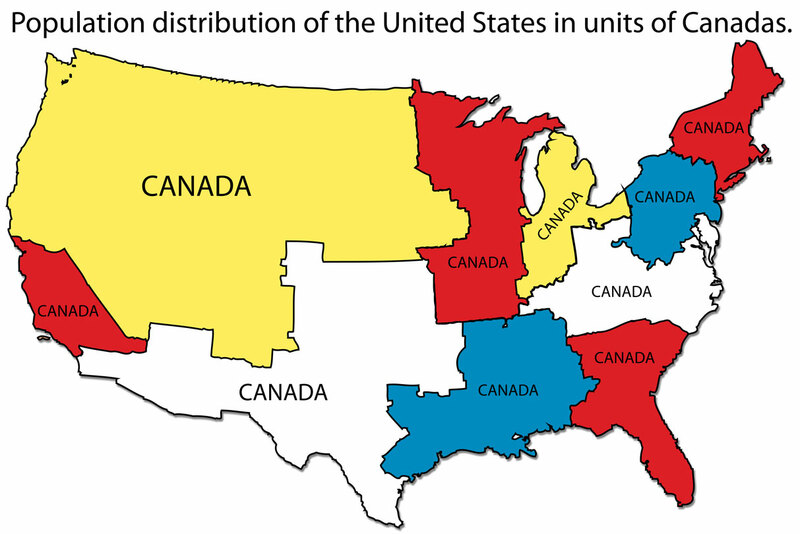 Over at I Love Charts, the United States was broken down into units shaped by the size of the population of Canada. Roughly, the United States = 10 Canadas. How many Canadas in the US? Credit for the piece goes to an unknown individual. If discovered, I would appreciate being informed.